This book is sponsored by LOICZ, ECSA and EMECS. It is a synthesis of the environmental status of iconic Australian estuaries and bays by eminent Australian scientists. It suggests what Australian estuaries will look like in 2050 and beyond based on socio-economic decisions that are made now, and changes that are needed to ensure sustainability. The book addresses the questions: Is Australia’s rapidly growing human population and economy environmentally sustainable for its estuaries and coasts?What is needed to enable sustainable development? To answer these questions, this book reports detailed studies of 20 iconic Australian estuaries and bays by leading Australian estuarine scientists. 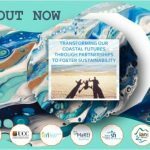 That knowledge is synthesised in time and space across Australia to suggest what Australian estuaries will look like in 2050 and beyond based on socio-economic decisions that are made now, and changes that are needed to ensure sustainability. Intended for researchers, practitioners, (under) graduates in all disciplines dealing with complex problems as well as methodological tools to set up truly transversal science and technology projects, such as the restoration of damaged habitats.